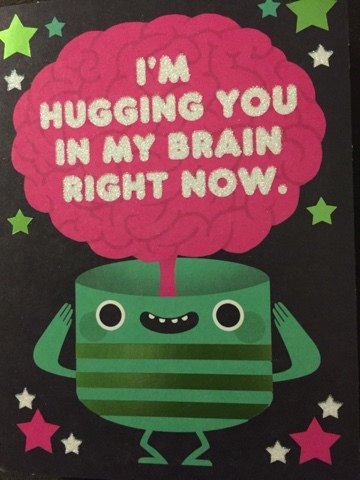 This is a cute card he got today. Robbie slept most of the day again. He was awake a little this afternoon. The stronger meds are helping him, but I also think they knock him out. I will take that over the major scare he gave us last round of chemo!